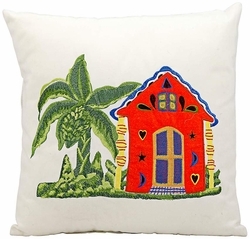 Add a tropical accent to any outdoor seating area with this hand-crafted throw indoor-outdoor pillow. A bright and stylish accent look. 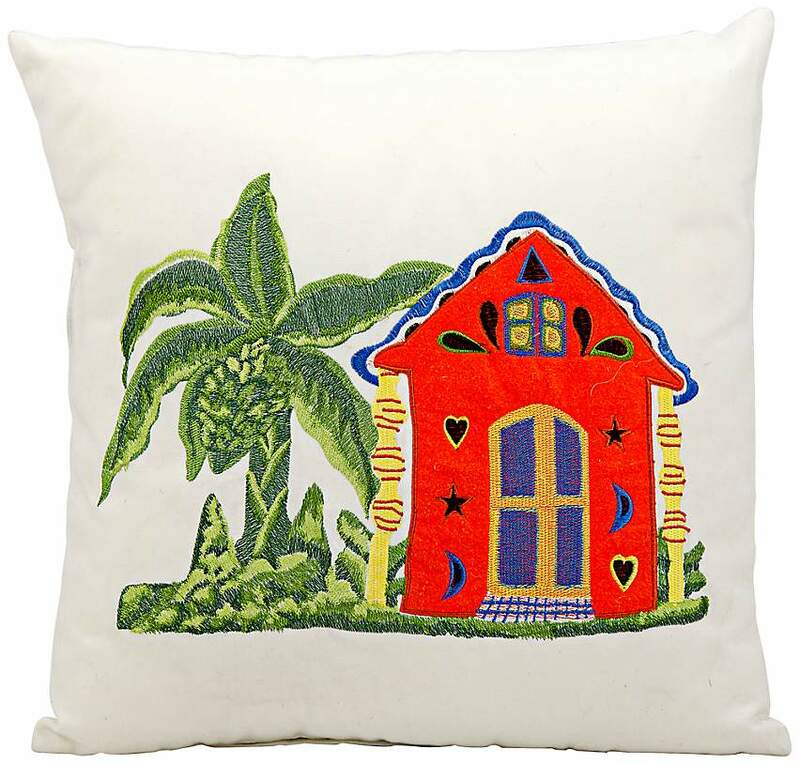 Create a stylish outdoor living space with the help of this hand-crafted Mina Victory indoor-outdoor pillow. A great way to bring color and style into a contemporary or casual decor. • Multi-color tropical pattern on a white background. • Includes a polyester fill; 100 percent acrylic.